This Article ought to be subtitled “permanent recruitment” as opposed to “temporary recruitment” because as far as I can see the temporary recruitment side of the business is very unlikely to suffer many effects under the recession. Permanent recruitment has always been the more risky end of the business in relation to effects of recession. I can remember starting my consultancy Ten Percent Legal Recruitment back in April 2000 and speaking to an educated lady who was working as a police station visitor at the time, who when I said that I had set up a recruitment agency replied “you had better hope there is not a recession if you are doing permanent recruitment”. At the time I did not think much of this as we had just about finished the Dot.com bubble burst and things were on the up, but I have always remembered her words and wondered if they would ever come to fruition. Of course in the recent recession they clearly have. 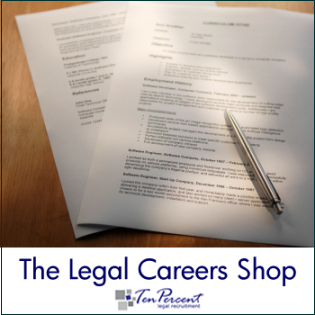 Permanent recruitment dropped off dramatically as soon as the recession hit and redundancies started to get announced in the legal profession. I can remember going to a training course back in April 2008 and the course leader asking everybody in the room who had suffered any effects of the recession. Everybody in the room said how the recession had presented them with new possibilities and challenges and they were being very positive about it, but I think I was the only one to say that my business had been badly hit at the time and we were really struggling to cope with the effects, but as soon as I said it I could see everybody in the room immediately start to nod and that all the comments about seeing challenges and opportunities was possibly true but they were similarly struggling. During the recession I have spoken to a number of other recruitment consultants who have pointed out some new and interesting methods of recruitment that appear to have sprung up with larger numbers than before. Firstly there are other companies who send the job specification out to 30 agencies and inform them that they are only paying a set percentage fee and that they will not look at candidates being sent through at a higher fee. Secondly there are companies who send the vacancy out to agencies but at the same time advertise directly on the various job boards such as Monster and Totaljobs.com. When CV’s are sent in they invariably say that they have already seen the CV on Monster and do not want to take it further forward with the agency. Having used Monster it may be that they are waiting to see who the agency gets and then contact the person themselves as they then know that person is particularly looking for a job as a number of the CV’s on Monster are from people who are passively looking as opposed to actively looking. The third trend are the companies and Government organisations using managed vendor suppliers or mass vendor supplier such as Matrix, SGM or Commensura, both of whom have set rates, post vacancies to any agencies who are signed up with them and send the said number through to their customers. This means that every time you go for a vacancy you are up against a number of other agencies all trying to post their CV into the same vacancy as quickly as possible to get the customer to look at it. So where does the role of the recruitment agent come into this? Firstly there is only a role for recruitment agencies where there is a shortfall of particular types of candidates as no employer is going to bother using an agency unless it is through habit or ease of use or loyalty unless they actually need to. If a company know they can advertise a vacancy in a trade journal or online and get a hundred applications with a couple of very useful CV’s, there is no point spending lots of money on an agency candidate. We are already starting to see the end of the recession and this is partly why this blog is being updated again(!) and I’ve had more vacancies in the last three or four weeks than we’ve had in the previous 6 months which is very healthy. Not only this but we have also seen interviews from quality firms and genuine candidates which makes a refreshing change to some of the interviews we have arranged in the last 6 months. Jonathan Fagan is Managing Director of Ten Percent Legal Recruitment and writes regularly on Legal Recruitment and on career coaching via this website, www.legalrecruitment.blogspot.com, the Legal Recruitment News websites – www.legal-recruitment.co.uk and www.jbfagan.co.uk for career coaching advice.